10 nov. 10/11 U13 GARS-2 CTC - DEVELOPPEMENT U13G2-CTC-DEV 85 - 28 ABC GUINGAMP ABC GUINGAMP Champ. 17 nov. 17/11 PLAINTEL SP BASKET - 2 PLAINTEL SP BASKET - 2 26 - 88 U13 GARS-2 CTC - DEVELOPPEMENT U13G2-CTC-DEV Champ. 24 nov. 24/11 U13 GARS-2 CTC - DEVELOPPEMENT U13G2-CTC-DEV 62 - 37 PLAINTEL SP BASKET - 1 PLAINTEL SP BASKET - 1 Champ. 01 déc. 01/12 ABC GUINGAMP ABC GUINGAMP 21 - 92 U13 GARS-2 CTC - DEVELOPPEMENT U13G2-CTC-DEV Champ. 08 déc. 08/12 U13 GARS-2 CTC - DEVELOPPEMENT U13G2-CTC-DEV 82 - 22 PLAINTEL SP BASKET - 2 PLAINTEL SP BASKET - 2 Champ. 15 déc. 15/12 PLAINTEL SP BASKET - 1 PLAINTEL SP BASKET - 1 49 - 47 U13 GARS-2 CTC - DEVELOPPEMENT U13G2-CTC-DEV Champ. 19 janv. 19/01 U13 GARS-2 CTC - DEVELOPPEMENT U13G2-CTC-DEV 49 - 38 PLAINTEL SP BASKET - 1 PLAINTEL SP BASKET - 1 Champ. 26 janv. 26/01 IE - US YFFINIAC - 2 IE - US YFFINIAC - 2 52 - 42 U13 GARS-2 CTC - DEVELOPPEMENT U13G2-CTC-DEV Champ. 02 févr. 02/02 LANNION TREGOR BASKET LANNION TREGOR BASKET 41 - 61 U13 GARS-2 CTC - DEVELOPPEMENT U13G2-CTC-DEV Champ. 02 mars 02/03 U13 GARS-2 CTC - DEVELOPPEMENT U13G2-CTC-DEV 116 - 19 ABC GUINGAMP ABC GUINGAMP Champ. 09 mars 09/03 DINAN BASKET SAMSONNAIS - 1 DINAN BASKET SAMSONNAIS - 1 41 - 73 U13 GARS-2 CTC - DEVELOPPEMENT U13G2-CTC-DEV Champ. 23 mars 23/03 PLAINTEL SP BASKET - 1 PLAINTEL SP BASKET - 1 76 - 55 U13 GARS-2 CTC - DEVELOPPEMENT U13G2-CTC-DEV Champ. 30 mars 30/03 U13 GARS-2 CTC - DEVELOPPEMENT U13G2-CTC-DEV 52 - 58 IE - US YFFINIAC - 2 IE - US YFFINIAC - 2 Champ. 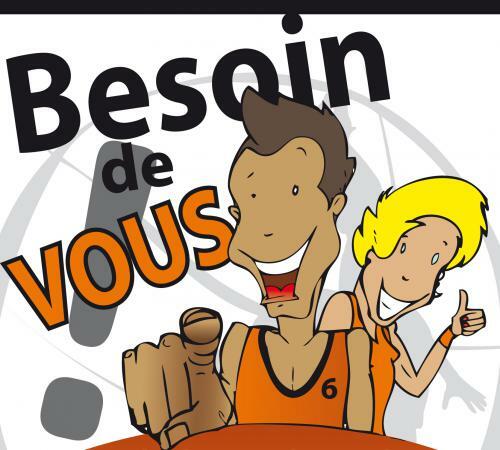 18 mai 18/05 U13 GARS-2 CTC - DEVELOPPEMENT U13G2-CTC-DEV 13:00 DINAN BASKET SAMSONNAIS - 1 DINAN BASKET SAMSONNAIS - 1 Champ.